What does the festive season look like in the tropical heat of the remote Peruvian Amazon? Imagine a Christmas where there are no evenings by the fireside with your family. No carol singing or lights switch-on. No frantic present wrapping or last-minute dash to the stores. Now imagine a Christmas where a group of titi monkeys wake you up in the morning. Lunch is spent chatting to new friends in the sweltering mid-day heat. And the only gift you'll receive is crafted from... well, anything that your Secret Santa could find in the forest. 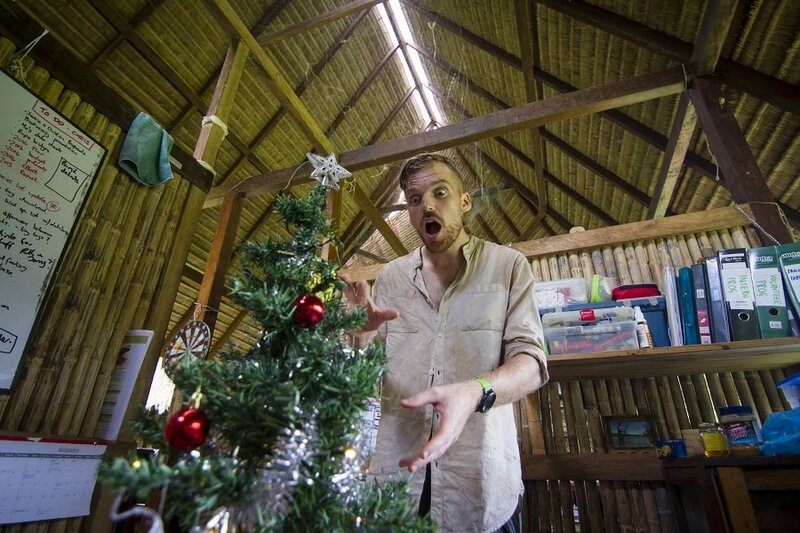 That's more or less what a Christmas is like at the Manu Learning Centre (MLC) in the Peruvian Amazon. In honour of this special holiday – made extra special because we're away from our families and in the Amazon rainforest – Kat Mataya and Katie Lin are going to lead you through a podcast on how to celebrate Christmas in the jungle. 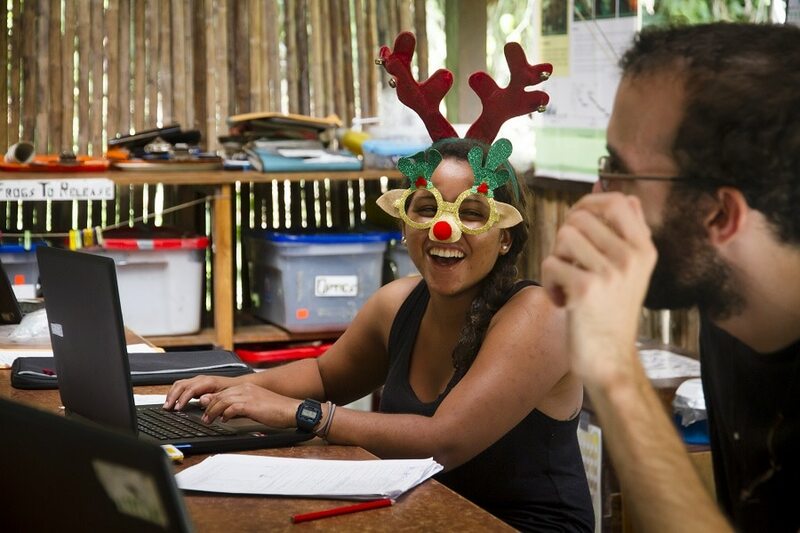 Our former team member Kat goes down in MLC history as being the most determined person ever to bring festive cheer to the Amazon. We want to wish all our team – past and present – a very MERRY Christmas and a massive thank you for all your hard work. As our favourite quote from Kat's podcast says: "Science doesn't stop." 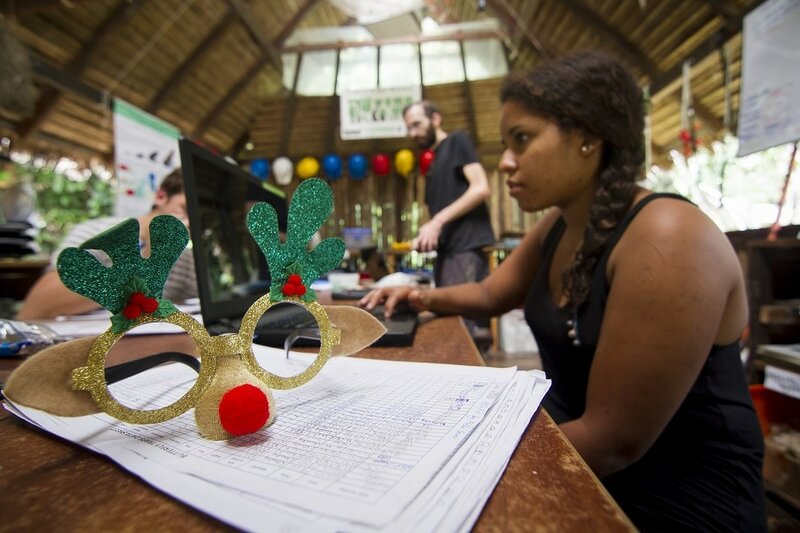 If your loved-one is celebrating Christmas in the jungle with us this year, be sure to send them a festive message on our Facebook wall. Want to experience the jungle for yourself? Then make the most of our amazing special offers this festive season. We have FREE flights for anyone booking onto our Conservation Internship and a $250 discount voucher for anyone joining us a volunteer. These offers are only available for start dates in January and March 2018. This is a once-in-a-lifetime experience that you can make happen. Want a jungle Christmas in 2018?